The Raptor and Wildlife Refuge of Tasmania Incorporated is committed to securing the future of Tasmanias raptors by reducing human impacts through rehabilitating injured, sick or orphaned raptors, educating the public and supporting habitat conservation. 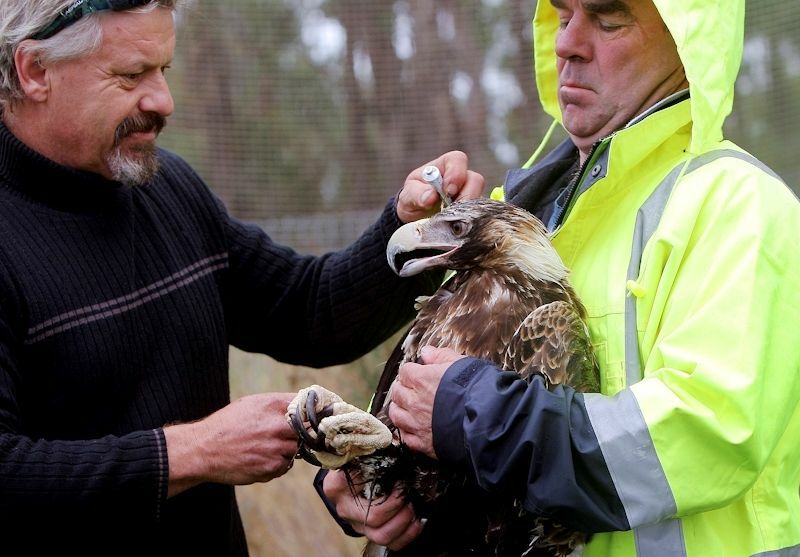 The outstanding feature of this facility is three of the largest raptor flight aviaries in the Southern Hemisphere, purpose-built to flight train Wedge-tailed eagles, Sea-Eagles and other birds during their recovery from injury. Along with the three huge flight aviaries there is a large owl aviary and nine slatted aviaries to house many and varied species of raptors, with one bank of aviaries built solely for quarantine purposes. Is a working refuge not a zoo or wildlife park. It is therefore not open to the general public. Group visits to our education centre can be facilitated on an appointment only basis. This purpose-built Education Centre is an amazing, octagonal structure, with an inspiring steel eagle sculpture by Keith Smith adorning the top of its glass turret. The Centre has been designed to not just fit into the natural bush setting, but to captivate and hold the imagination of young and old alike. Inside there are surprises as well, with one-way glass viewing windows to three slatted aviaries. These windows are set into three walls fitted with sound, acoustic grade insulation. This innovative idea will allow viewing of birds with appropriate temperaments at close quarters. We depend on the generosity of the public to continue our mission. The easiest way for you to help is with an annual membership, collectively your donations help us immensely, so please join us today. To provide the ability to drop off animals when no one is at the refuge and to ensure the birds in recovery remain undisturbed, a drop off box has been constructed at the Refuge’s front gate. Please contact Craig before dropping off any animals on: 0408-725 869. Craig suggests the following: throw a cloth or jumper over the animal to cover the eyes and prevent its struggling and put it in a box; keep the box in a safe, warm place while you contact an appropriate carer. 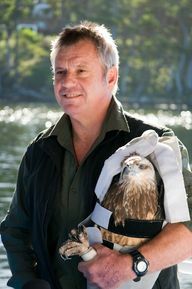 Be especially careful, he warns, with birds of prey such as eagles, owls, falcons, goshawks and the like and to avoid coming into contact with their sharp talons.